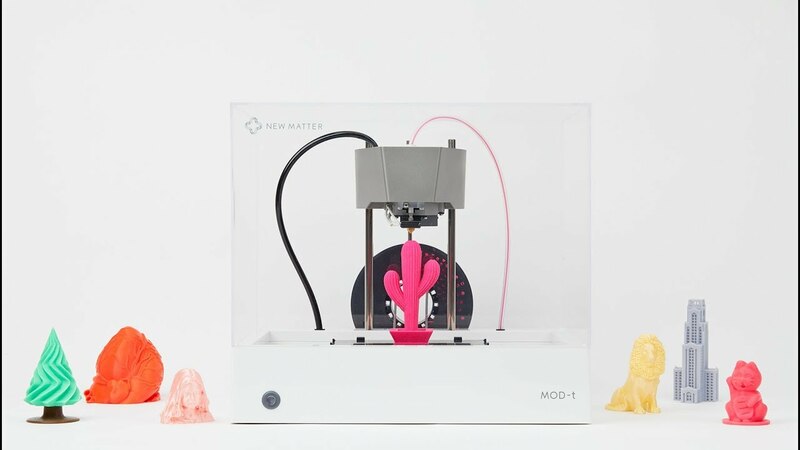 New Matter has released a new desktop 3D printer that improves on their original design. We first encountered the company some years ago and were impressed with their approach. While their device was quite inexpensive, it distinguished itself with a sophisticated cloud system to manage and operate the 3D printer. In other words, it was a cloud-based 3D printer, perhaps one of the first packaged as such. Their goal then, as now, is to produce a very easy to use machine that can literally be used out of the box. That’s done through an ingenious combination of simple hardware design and leverage of their always-updated cloud system. Their first machine was likely conceived with the notion of providing it to consumers, but as the market evolved, it seems they are now correctly targeting the education market, which can certainly enjoy the ease of use features of this machine. The magic for this machine remains in the cloud, where you will do your 3D model management and print preparation (slicing). The cloud system even drives your 3D printer directly, so you are able to perform all necessary tasks (except for loading filament and removing prints) from the cloud system. While the machine is somewhat similar to the first generation, there are some notable changes, each of which is likely driven by first gen customer feedback. New Matter has sped up the processing power of the MOD-t 2dGen in order to provide more accurate and speedy printing. While the cloud may “drive” the machine, the micro-second by micro-second movements are directly controlled by the local processor. A taste processor means you will be able to control the motion system more rapidly. According to New Matter, this results in an approximate 30% speed boost when printing. They have replaced the cooling system, which sports two independent fans, including one with redesigned ducting for more effective flow around the print. This should enable precision cooling of freshly extruded PLA to enhance print accuracy. The new cooling fans are apparently a lot quieter, which may be of interest to schoolrooms. New Matter has also re-engineered the networking subsystem to provide a stronger WiFi signal and also much faster downloading of 3D print jobs from the cloud. This is important, as very complex jobs can require massive GCODE files that in other systems are delivered by USB or SD Card; New Matter has bridged that gap with their networking speed increase. The 2nd Gen machine also sports a new print surface that looks very attractive. It’s designed to require NO leveling, or even auto leveling, as the system is pre-calibrated. The print plate is now removable – and flexible, making removal of prints trivial. Another very interesting feature is the “filament traction control system”. Their previous system did have a “filament out” detection system, which would catch the end of a filament spool before the job would fail. This enabled you to swap materials and continue. That feature remains, but the new “FTCS” actually monitors filament MOVEMENT, not just filament PRESENCE. This means the 2nd Gen machine can not only detect when filament is out, but also when a jam occurs: the filament is there, but not moving when it should. This feature, when combined with cloud alerts, should prove very useful to any MOD-t operator. In fact, I wish every desktop 3D printer had this feature, even the more expensive units. I should mention that the MOD-t 2nd Gen is an open materials machine capable of handling any PLA-style material that isn’t overly abrasive. 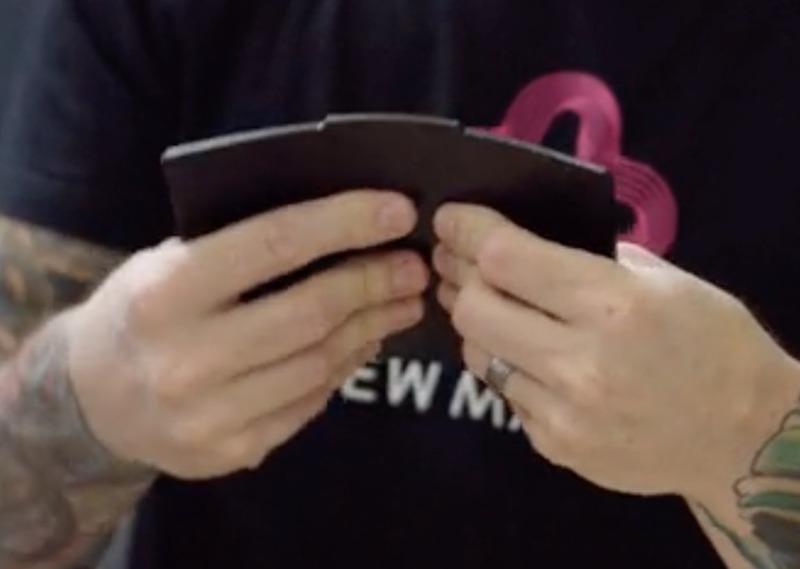 They’ve even designed a hook-like mount that should handle any weirdly sized spool you can find. And all of this is packaged in a very attractive industrial design (actually made by Frog Design, no less), and is said to be ready to print in “under 20 minutes”. I don’t doubt it. One catch is that the MOD-t 2nd Gen is not available until next May, six months away. Until then you will have to be satisfied to pre-order the machine. But prices are still excellent. You can pre-order a unit for only USD$249. A USD$299 package is also available that includes three spools of PLA and three print plates. While others are trying to catch up, we’re preparing to release My New Matter, the second generation of our online platform and community. My New Matter will give you real-time wireless control of your MOD-t from any device, including smartphones, tablets, and Chromebooks. 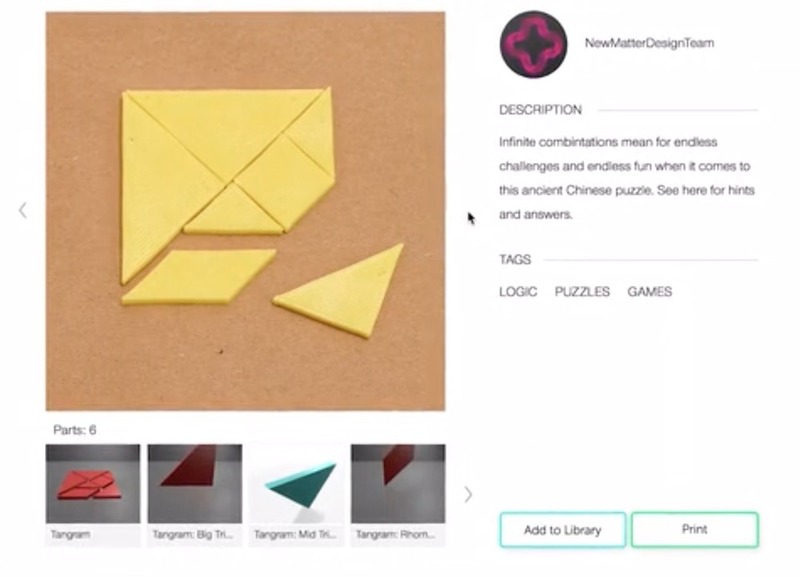 You’ll also be able to create and share 3D designs with the online My New Matter community, giving you the ability to build a collection of shareable designs for personal and public use. If you’re in the market for an inexpensive unit for your organization, you might consider the MOD-t 2nd Gen desktop 3D printer.